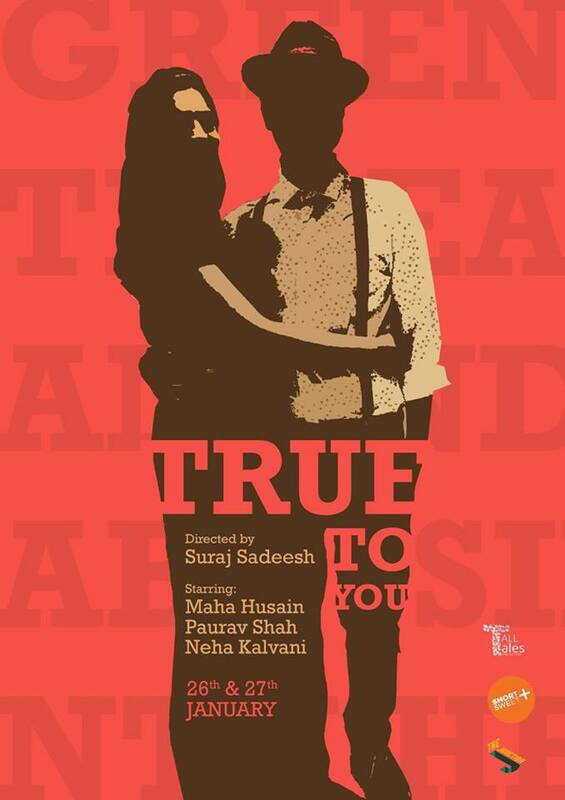 Truly delighted that "True To You" has been voted through to the People's Choice Finals at Short+Sweet Dubai Theatre Festival. Following performances during Top 40 Week on Friday 26th and Saturday 27th January, "True To You" was propelled into the top two by the audiences on the night, and will now go on to compete in the Finals showcase. Many congratulations and thanks to the talented Tall Tales Production team - including director Suraj Sadeesh and cast members Maha Husain, Neha Kalvani, Paurav Shah, pictured below (photo credit: Shrideep S Nanal). The People's Choice Finals will be held on Friday 23rd February 2018 at 4pm and 7.30pm at The Junction.